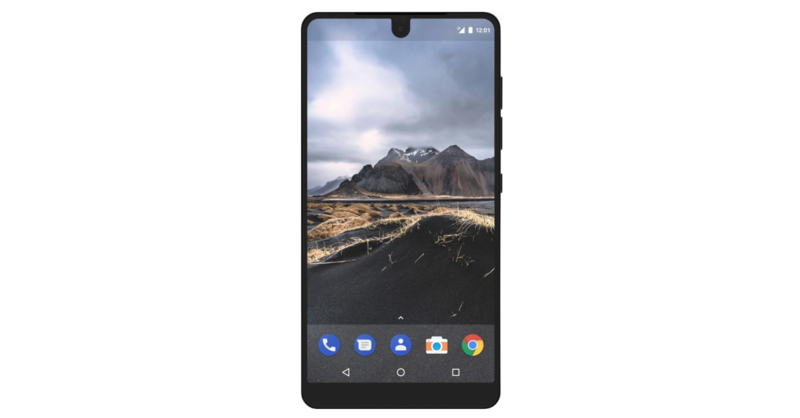 Andy Rubin's Essential hasn't had the greatest start, what with executives jumping ship and shipments being delayed so early on, but things may finally be looking up. The startup's flagship product, the PH-1 smartphone, has just hit Best Buy's website with listings for both the Sprint and unlocked models. As a recap, the cleverly-named PH-1 (which translates to PH-ONE, or "phone"), sports a titanium frame and ceramic back, a 5.7" 1440p IPS display, a Snapdragon 835, 4GB of RAM, 128GB of storage with no microSD expansion, dual 13MP rear-facing cameras, an 8MP selfie cam, and a rather small 3040mAh battery. Android 7.1 Nougat comes in tow. 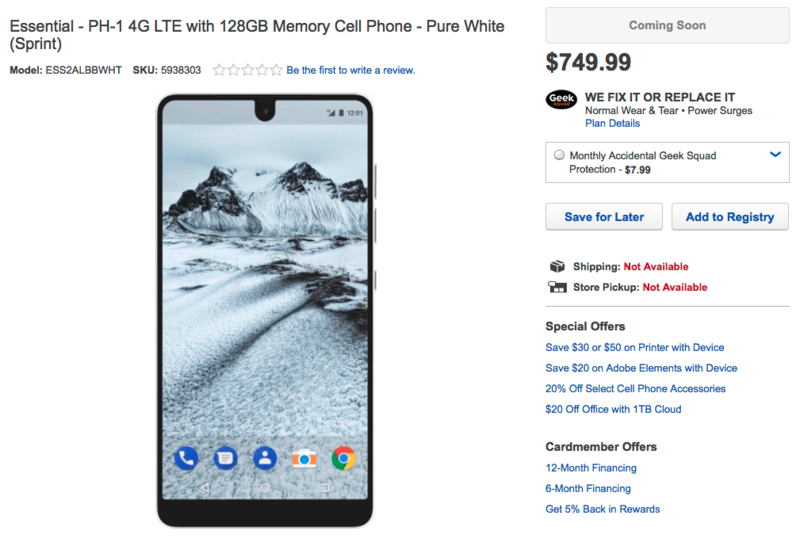 The PH-1 comes in two colors - Black Moon and Pure White - on both the unlocked and Sprint variants. However, in a strange twist of events, the unlocked model costs $699.99, compared to the Sprint model's $749.99. So unless you're looking to finance the device through Sprint, you'd be much better off with the unlocked configuration. You'll also get a free dinky little Insignia stick-on stand with some Best Buy Mobile branding with your purchase, for what it's worth. That'll probably get thrown into the trash instantly. 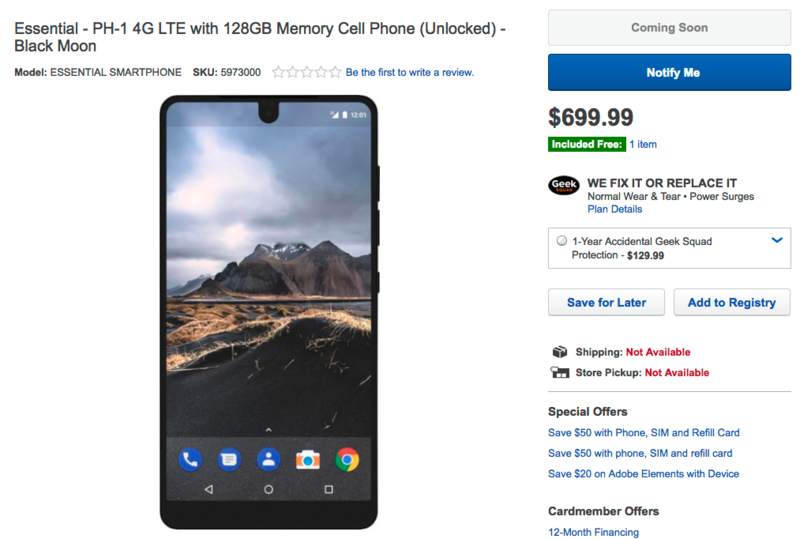 Unfortunately, there's still no word on when the phone will get to customers aside from a grayed-out "coming soon" button, but you can choose to be notified of when it does come in stock for the unlocked model. Strangely enough, that "notify me" button is nonexistent on the Sprint listing. Check the source links to view each PH-1 listing for yourself.